A summer vacation in lovely Ötztal has a lot to offer, especially for families and adventure-seeking holiday makers. 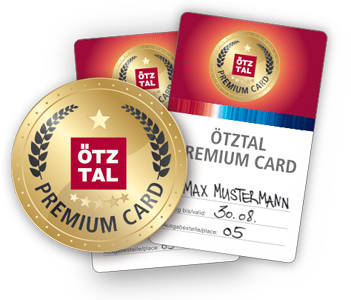 The unrivaled Ötztal Premium Card is the best way to explore the whole valley and all its highlights. In the summer, holders of the Ötztal Premium Card enjoy free use of public bus lines and summer mountain lifts, free admission to outdoor pools and swimming lakes, free admission to the Aqua Dome water world and Area 47 swimming lake, plus varied museums and other recreational attractions.